but after driving it for about a block the abs, car skidding and tcs (tcs off) lights turned. Any reason why this happened? 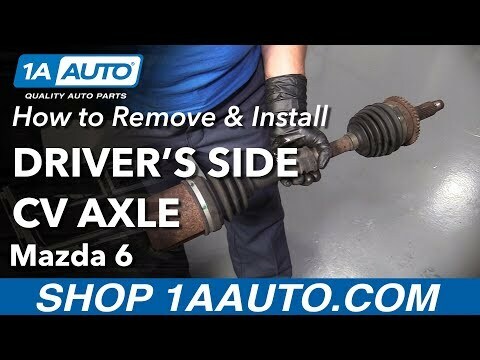 How to replace the steering box of a Mazda 6 2007 ?, or if you have a video on how to do it? I'm pulling the motor and trans out of my 07 mazdaspeed6, very helpful to know how to get the CV shafts out! I need to do this to my 2004 Hyundai Elantra. Hope it's similar. I just wanted to say thanks for your videos. I successfully changed the head gasket on a 350 small block. Couldnt have done it without your videos.